::: Off the Radar :::: Spoon Returns! So I got a bunch of albums yesterday from Hot Chip, Magnetic Fields and Spoon. Since Spoon is the first one to be released next Tuesday (1/19) I'm gonna start off with them. First off I wanna say Spoon is one of the most consistent indie bands of our era. Kill the Moonlight and Ga Ga Ga Ga Ga are a couple of amazing records from them that I grew up listening to particularly Kill the Moonlight and some of the best music this decade had to offer. Britt Daniel's voice is unmistakeable and always achingly lovely. Their latest album is lucky number seven and is called Transference. It is the first one were they produced it themselves. 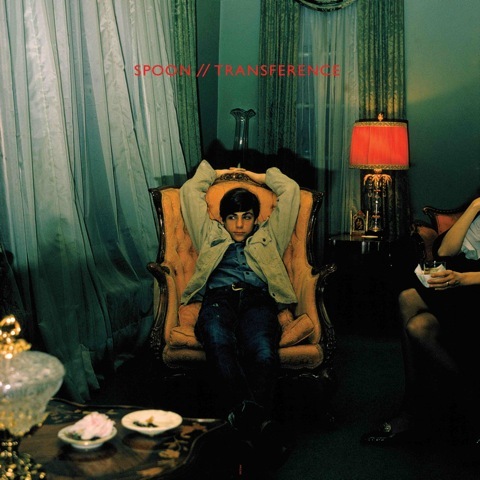 Upon first listens it is classic Spoon. Nothing too revolutionary, but if you like Spoon you will most certainly dig this. Like most great records it will probably take repeated listens to fully appreciate it and have it grow on you. I have a feeling this will be one of those. Unfortunately the copy I got is a crappy 128kbps version, but it's still enough to tell it's a solid album. With some tracks they go off on tangents experimenting a bit, but in the end it always comes back to sounding like classic them. My initial favorites are the slow jam 'Out Go the Lights', the short but sweet 'Is Love Forever? ', 'I Saw the Light', 'Mystery Zone', 'Written in Reverse' and 'Who Makes Your Money'. Here are a couple of those for you to sample, but be sure to pick this baby up next week when it's released in a better quality version. I know I will. *** Unfortunately the artist and their label Merge have asked us to take down these two tracks, but they have allowed us to post the single 'Written in Reverse', plus this link were you can stream the entire album on NPR until it's released! Not a bad trade-off. Here they are. Enjoy! NPR Link to Stream Transference.